Located on US Rte 1 South near the Mercer Mall complex.Well known German Luxury Brand for the performance enthusiasts. All of the latest vehicles on site.Images of the 2019 Panamera Turbo. I just bought my 2018 Macan S from Princeton Porsche and it was by far the best car buying experience I have had. Gary Lam was extremely knowledgeable and helpful in picking just the right car for my needs. The rest of the team at Porsche Princeton were also extremely helpful. I would definitely recommend them to anyone looking to purchase a Porsche. Just completed a out of state purchase with Porsche Princeton. It went as seamlessly as possible. I received upfront numbers. Quick turnaround on paperwork. No gimmicks. Tiffany Caccavale in finance made the transaction come together and was a joy to work with. Very thankful for the excellent job. I am a 20 year plus automotive industry executive. I have owned and leased some amazing cars and worked with very experienced dealership professionals and staff members in all areas of automotive operations to include variable, fixed, and F & I operations. Tiffany was just simply put "awesome" to deal with and I would strongly encourage you if you are looking for an amazing car buying experience with one of the worlds finest automobiles then make the time to speak with or visit Porsche of Princeton. You will be so glad you did. Tiffany "thank you" for an incredible experience. 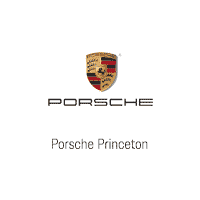 I will absolutely refer you and Bryon and the team at Princeton of Porsche.